Just for fun I tried receiving WSPR on 6m. I'm using a half G5RV but at the end of a long run of RG58 so losses at 50MHz are likely to be significant. Quickly VK2HC was received and Peter emailed to say hello. 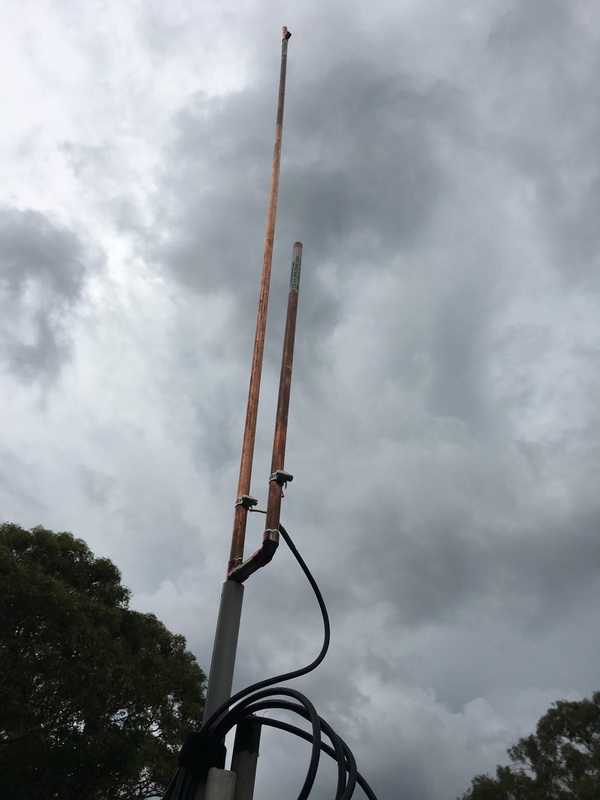 I mentioned my poor 6m setup and Peter urged me to try a copper J Pole design for 6m. Only when thinking about it at the hardware store did it dawn on my that the length of over 4m wasn't going to support itself and so I chickened out and decided to try the same but for 2m. I purchased lengths of 15mm copper pipe, an L piece and a T piece along with a small gas blowtorch. The Ham Universe J pole calculator gave me the lengths. 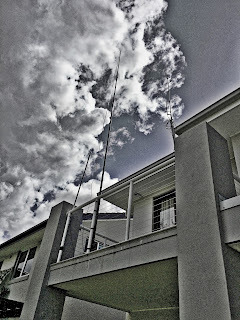 Unfortunately I mistakenly cut too short and had to extend later but that wasn't difficult - Lesson: always cut antennas a bit long at first. Soldering the joints is done by heating with the blow torch until solder melts on contact and then I let that "wick" in to the joint. Seems to work very well. Hose clamps were used to attach the coax (some waterproofing is going to be needed). It tunes up pretty well and gives an SWR below 1.1.